We’ve walked a long way since the initial gaming hardware that politely popped 8 bit pixels on screen in a frantic motion of gesture and brilliant display of confusion. It was the golden age of gaming and things were only just starting to get interesting on our televisions. It’s no secret; Nintendo was the company to start the ball rolling as far back as 1983 with NES. Boldly acting on the downturn of gaming, Nintendo hit back with a console that changed the way we held remotes and arced our eyes at the buzz on screen. All the way from the gaming giants mighty popular Game Boy to the new Nintendo Switch in stores now, the hardware company has given the world some of the most fascinating gaming adventures. It was like a big yellow brick, tightly clutched by young adolescents everywhere. Packed with distinct buttons and a black and white LCD, Nintendo’s Game Boy was the first handheld gaming device to infiltrate into homes everywhere. Adored by millions across the globe, the Game Boy changed the face of gaming in 1989. Distinctly riding out with Super Mario as the devices exclusive title. The Italian brothers and their quest to save the damsel in distress left many aggravated and confused as you start your quest from the beginning as soon as you die. 8 bit games were simple and are often referred to as the golden age of gaming. It was a time of Super Mario and Donkey Kong. A time where the pixels flooded the LCD and captivated young minds as you controlled the movement on screen. 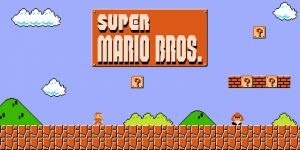 Our hero was once very simple indeed but Super Mario has grown into a super franchise of unique titles exclusive to Nintendo. The modern advancements in technology have allowed Mario to come to life in a stunning display of elegance and colour, while maintains that authentic Mario feel and style. Nintendo managed to affect a complete overhaul on the gaming world with their devices, which seemed to change the way we looked at our newfound digital world. The Game Boy inspired handheld devices and it’s a trend we see Nintendo trying to keep inline with. Game Boy Play was simple and uncomplicated, there was one goal and your pixels set off to accomplish it as you navigated them to do so. It’s much like online play in casinos today, where you can play online black jack with a simple interface and one common goal, winning. Nintendo has always attempted to pick up on the latest trends and capitalize on them with unique gaming devices that give people more than just a gaming console but rather a lifestyle choice. This was evident in the Nintendo Wii, which attempted to get people moving through the game with specialized camera technology that allowed for the first glances at virtual reality. The Wii also promised to promote healthy living through exercise, while you played through tennis or fighting the fit battle with exercise routines that were made interactive. If we take a look at Nintendo’s latest gaming console the Switch, we can see that the company is attempting to give players true gaming experiences that are both static and portable. The Switch is a nifty device capable of transforming from a home console into a portable gaming station.